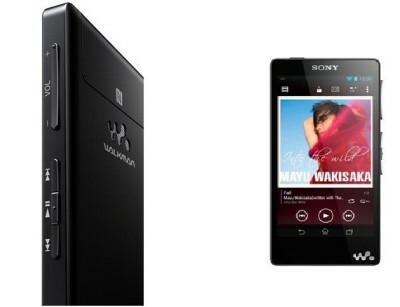 Sony has announced its latest Walkman with Android 4.1 jelly bean operating system, Sony Walkman F886. It comes with a 4-inch TRILUMINOUS LCD display having FWVGA 854×480 pixels resolution. The device is specially designed and made of music lovers to delight there ears with high quality sound. Although you can also play Videos on it. The Sony Walkman F886 can handle WAV, AIFF, FLAC and ALAC high resolution audio format playback up to 192KHz / 24-bit. According to Sony the F886 can deliver 6 times better audio quality than the same recorded on a CD. To offer nose and distortion free audio it has with S-MASTER HD digital amplifier. The Sony’s Digital Sound enhanced Engine (DSEE) will improve the quality of compressed or low bit rate audio formats. It has 32GB internal memory and it lacks further memory expandability. The device battery can last up to 36hours on MP3 play back and 26hours on High Definition Audio. The Walk man also features NFC, Bluetooth and WiFi connectivity. Sony Walkman F886 be available in October at Price of $393.